The Australian public transport should be treated with respect, just like one would treat his own home. ABC Party Hire does NOT condone such idiotic act and public display of disrespect by treating a train seat like some sort of a party equipment. 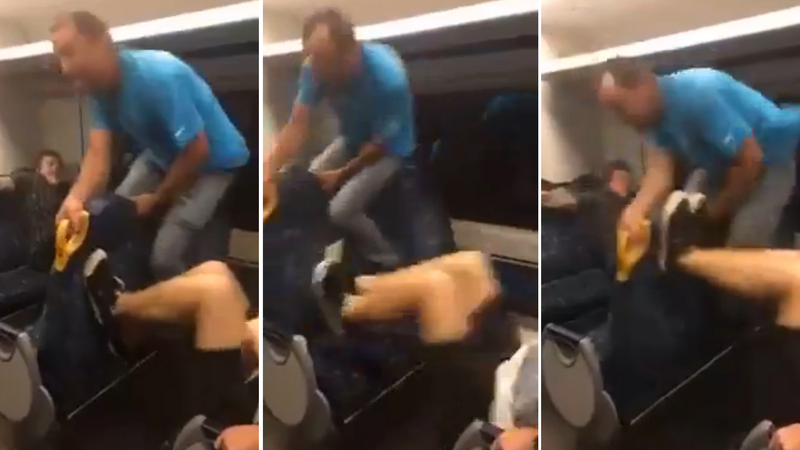 In the latest act of idiocy on New South Wales trains, a man was filmed straddling a seat while his mates kicked it back and forth, simulating a mechanical bull ride. The video is believed to have been filmed on a Sydney train last week and was uploaded to the Mount Druitt News Facebook page. A man is perched on top of the interchangeable backrest, which is designed to be moved back and forth to allow commuters to change seating direction. With one man sitting on either side of the chair, they use their legs to quickly push the seat back and forth, spawning a jerking, mechanical bull-like motion. People laugh in the background as the man in the blue T-shirt struggles to hold on. The video has attracted more than 160,000 views with a mixed bag of reactions from the public. Several would-be copycats found the video amusing and wrote that they personally “should try this.” while other commenters suggested heavy fines, bans and community service as a form of punishment. “Without public transport, you’ll be walking ur a*** to wherever ur going ya idiots!! Workers worked there bloody asses off and paid taxes for you numb nuts to travel on public transports, not to turn it into a f***en show!! Unbelievable!!! [sic]” one angry user wrote. “Disgusting behaviour and yes they should be banned from using public transport if this how they think this is appropriate behaviour [sic],” another said. While the page implied that the video was filmed near Mount Druitt, one man wrote that it was actually recorded on a trip from Nowra to Wollongong. NSW transport said they were aware of the situation and had referred the matter to police. “Customers travelling on NSW TrainLink services must ensure they treat public property with respect,” a spokesperson told Yahoo!7. “NSW TrainLink has installed CCTV cameras on the majority of its intercity trains and Police Transit Command Officers regularly patrol our services.